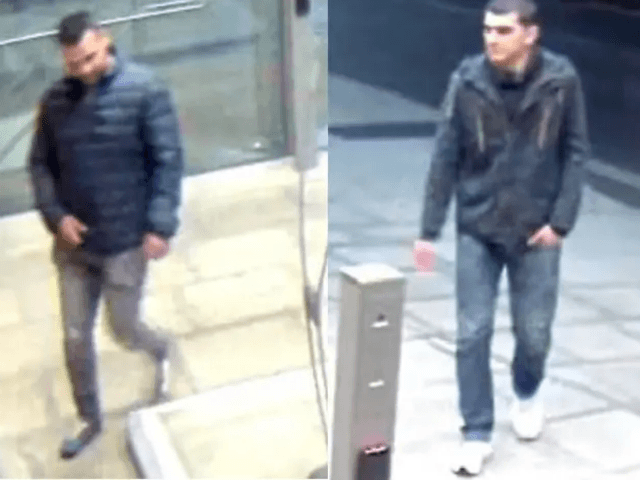 The Metropolitan Police has released CCTV images of two men they would “like to speak to as part of an investigation into a sexual assault” on Flitcroft Street in Camden, central London, and are appealing for witnesses to help identify them, according to an official statement. They have waited a long time to release the stills, however, with the attack having taken place months ago in the small hours of Wednesday, October 24th 2018, around 2:45 a.m.
“This was a sexual assault on a man in a public street and we appeal for anyone who thinks they can help us with the investigation to come forward,” said Detective Constable Robin East. “Although this happened in the early hours, there would still have been a number of people around the area who may have seen the victim or suspects before or after the assault. “We are interested in speaking to the two men in these images, so if you recognise them, please don’t delay in calling police,” the officer added. The police are asking anyone who recognises the men in the images or who may have more information about the attack to contact CN Safeguarding on 101 and quote reference 2330062/18, or to call Crimestoppers anonymously on 0800 555 111.